The Dutch Scientist Christien Huygens was an unparalleled scientist of the 1600's. He developed the Huygenian eyepiece which continued in use for centuries. 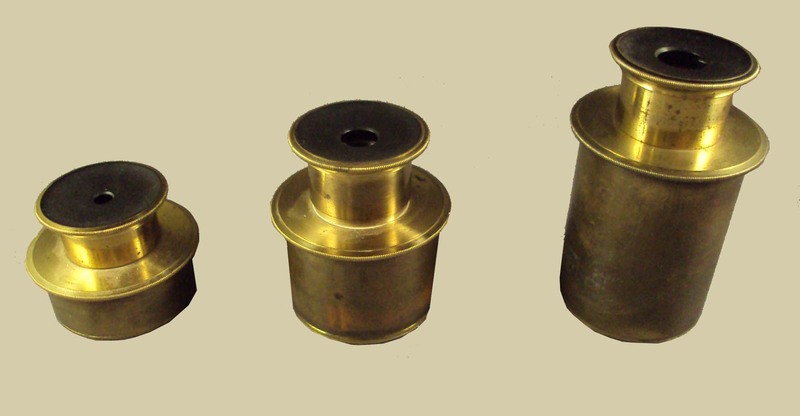 These eyepieces are typical of the type used in much of the nineteenth century both for telescopes and microscopes. The eyecup on top can be removed and replaced with the camera lucida also supplied with this microscope.